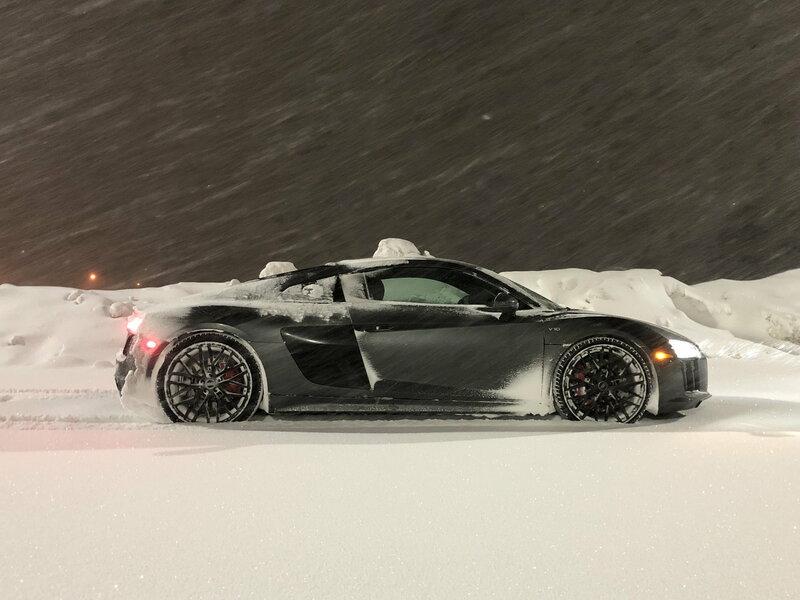 I know many of you TT owners showed great support and excitement for me as I upgraded from my TT to an R8. 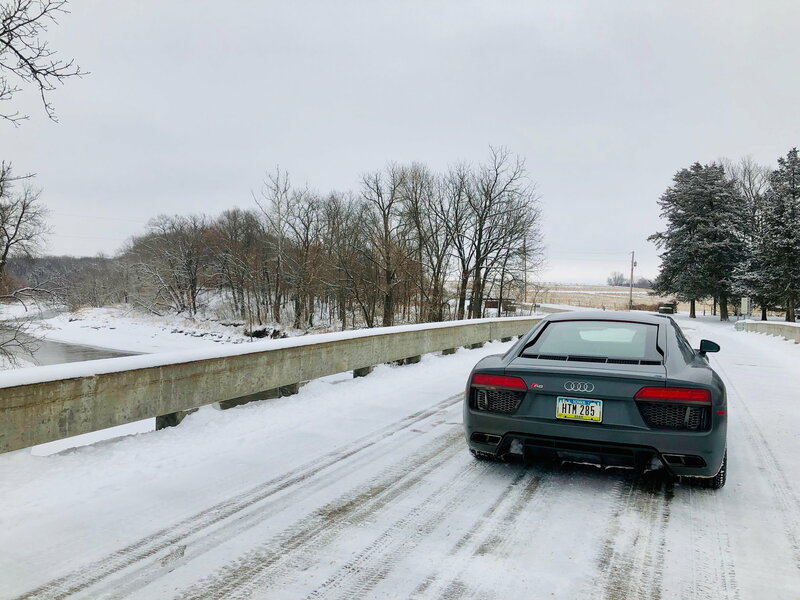 Many of you asked I continue to post some photos, especially finding it hilarious it's a daily driver around the farm and in the snow. 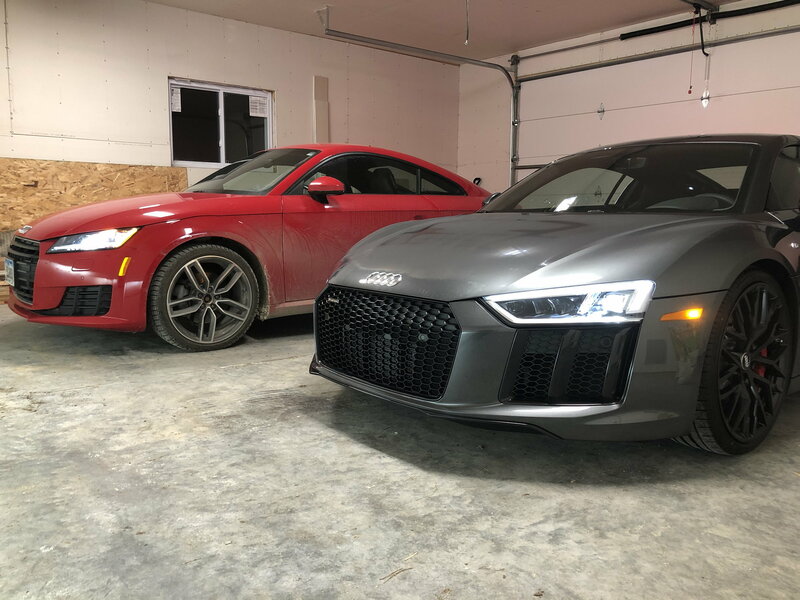 My TT goes back off-lease in one month, so I continue to enjoy owning Audi's 2 most unique cars...I just need better weather to take some photos of both of them together (I'll share those photos when it happens). 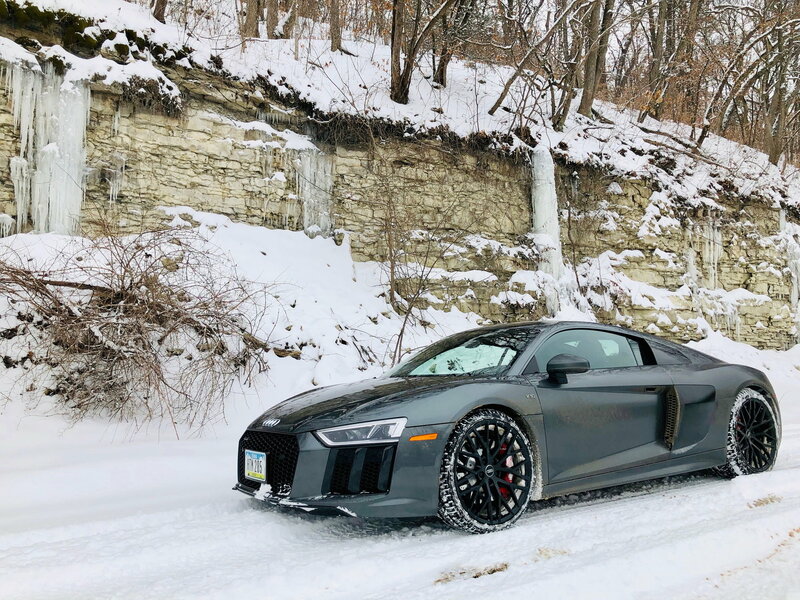 Meanwhile, the R8 has proven to be even MORE capable in finding traction that the TT, providing great stabilty than the TT and a far superior ABS/ESP/AWD tuning that defies logic in snow and ice. 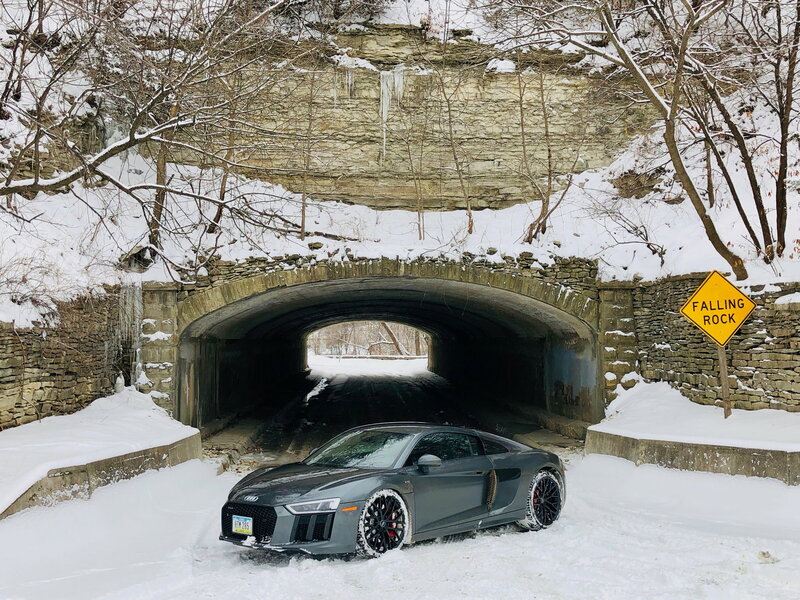 Truly, the R8 can handle inclement weather without issue, even in deep snow where the fully-flat underside acts like a sled to "glide over" deep snow drifts with ease. 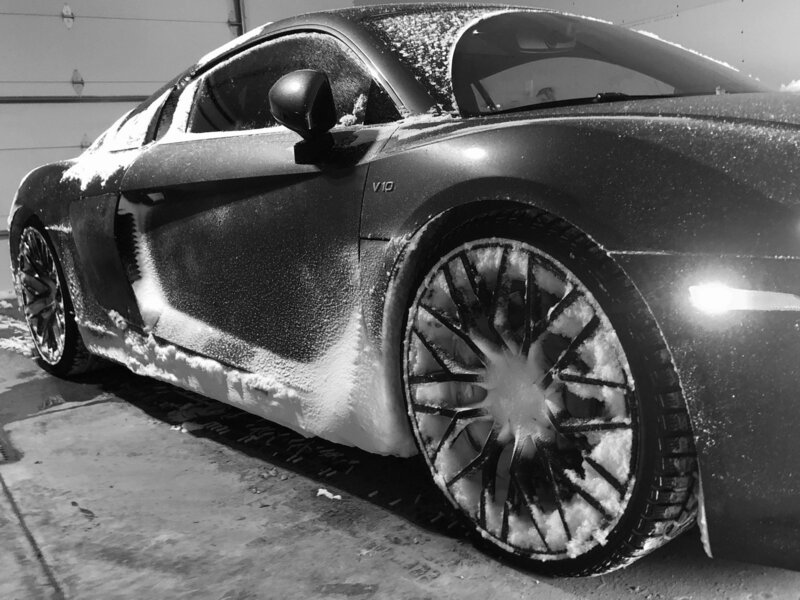 So enjoy the photos, and I'd love to discuss untying about the TT vs the R8 with you guys. Seriously, I've been driving the wheels off the TT before it goes back to Audi, and I'm really sad to see that car going..... Us TT owners are enjoying a very unique automobile....even if not quite as extreme as the R8. I love those black wheels. 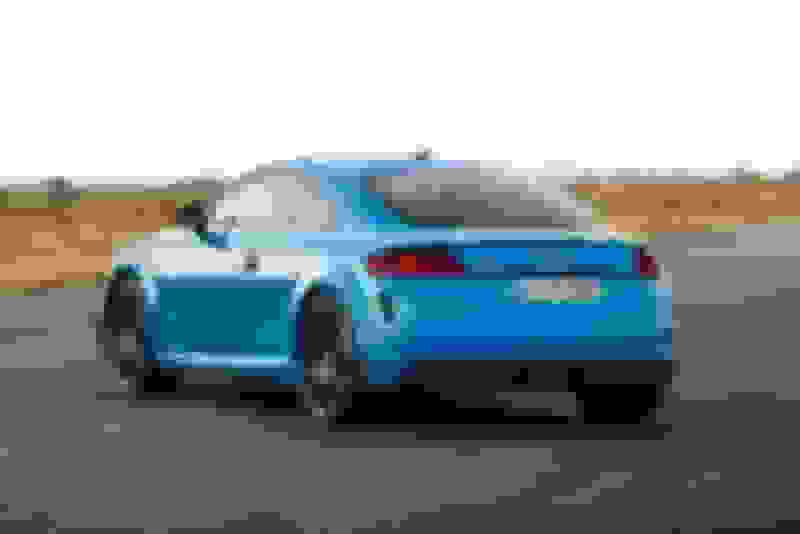 I'm getting a 2019 TT RS in Turbo Blue with black optics and I really wish it had a fully black wheel option similar to this. 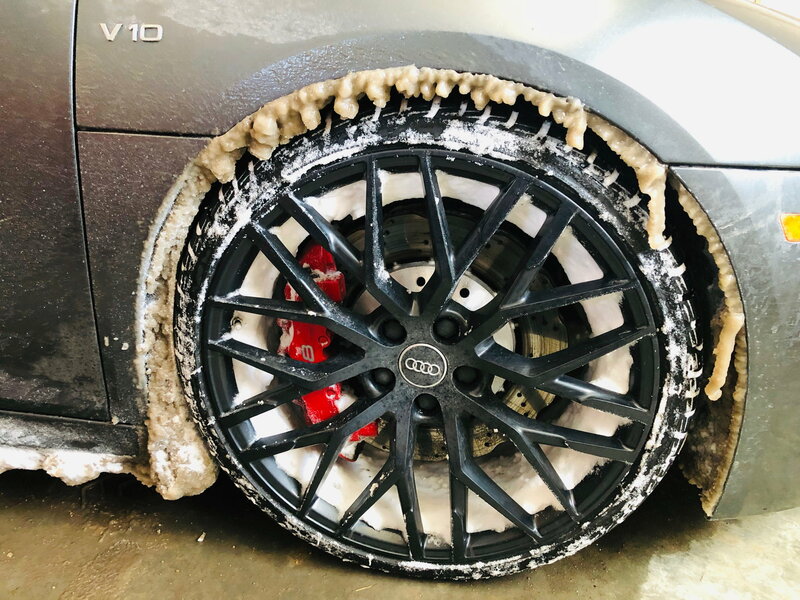 I shall get black wheels for my snows! The black wheels are my least favorite part of of the car, LOL. I just hate how they hide all the intricate detail of them form 5 feet away. But....I know I'm in the minority and am glad others think they make the car look great. Still would have preferred the Aura Blue with the silver side blades and silver wheels....but I can't speak to poorly of what I have in my garage!!!! Fun to slip slide a bit but yeah, those wheel well bunions are annoying. So funny how we can never really get the wheels we want! I agree that Aura Blue looks great with silver wheels. And I really like the silver on my sepang. But I think the turbo blue with black optics screams black. But as you said, you can't complain about your garage Queen! Off topic but.... Saw the Turbo Blue at a car show this week, It's a bold color and fun, but I can't say it's "pretty" like Sepang is. Black wheels look very different depending on car paint color. 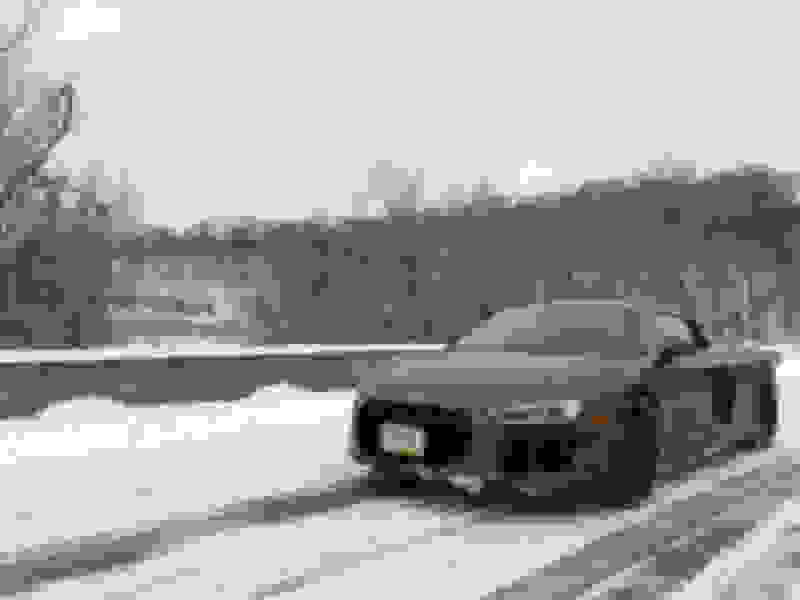 But I'm just a huge fan of the way bi-color wheels hi light Audi's awesome designs and intricate layering detail. Step back 5 feet and all-back wheels just look....all black. #boring The bi-color wheels look like art! But....the black optics on my Daytona Grey Pearl is certainly more to my liking than on some other cars (like white or sliver) and is less of a jarring contrast . I know I wish I lived in a market where there was that opportunity. Sadly I'm the only "local" R8 sold all year...and by local I mean probably half the state, LOL. I don't hate it as much as I thought having looked at them for 2 months now, but I still like the bi-color better. The one think black wheels do is make the red calipers behind them really stand out. Last edited by farmerjones; 03-12-2019 at 06:51 PM. True about how Turbo Blue is a bold colour. The car and colour will be a completely different animal in many aspects.